New rumors have started to circulate that Nokia will skip the Consumer Electronics Show (CES) in Las Vegas this coming January, and instead focus the company's energies on Mobile World Congress (MWC) in Barcelona in February. The reasoning behind the move isn't completely clear, but as always, there is some speculation as to why Nokia has chosen this route. 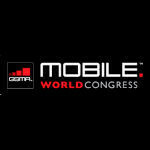 Word has it that Nokia has cancelled its CES plans in order to focus completely on MWC. The main reason given for this move is that the next big release from Nokia is likely to be an international model phone, or at least will launch internationally before coming to the States. And, CES is a decidedly US-centric trade show, while MWC has a more international bend (what with being held in Spain, and having the word "world" directly in the name). There is also a possibility that Nokia needs the extra month to finish polishing up whatever device is being worked on. Or, we wouldn't be surprised if CES was just too much of a madhouse. CES is a huge and unwieldy beast, because it covers so many different technology products and segments. MWC is not only a shorter trip for the Nokia team, but its a smaller and less hectic conference in general, because of its specific focus. Either way, if the rumors are true, we'll have to wait until February for news on what Nokia is working on. Always been a loyal fan of Nokia... the guys really are something! Agreed! Don't forget: CES is where the 808 PureView was announced and stole the show! i'm pretty sure nokia will announce another groundbreaking that will steal the show, AGAIN! MWC im so excited! I think it's a good move if they're indeed planning something big. CES is based on consumer products in general, yes it is big for mobile phones too, but MWC is based solely on mobile phones which, i think, is a better platform to release a phone. i love big dreams like this! it would not surprise me if Nokia is not at CES. because it is expensive to set up a show there and Nokia. and Nokia is more into mobile devices which WBC is all about. I predict that is where Nokia will reveal it's Windows RTTablet computer and New Nokia Smart phones. I hope they drop that Lumia series Name. a lot of People are aware of the luminati group and their Danger to Mankind. If I were a manufacturer I would not INFER EVEN KNOWING THEM because sooner or later their plans will be defeated.